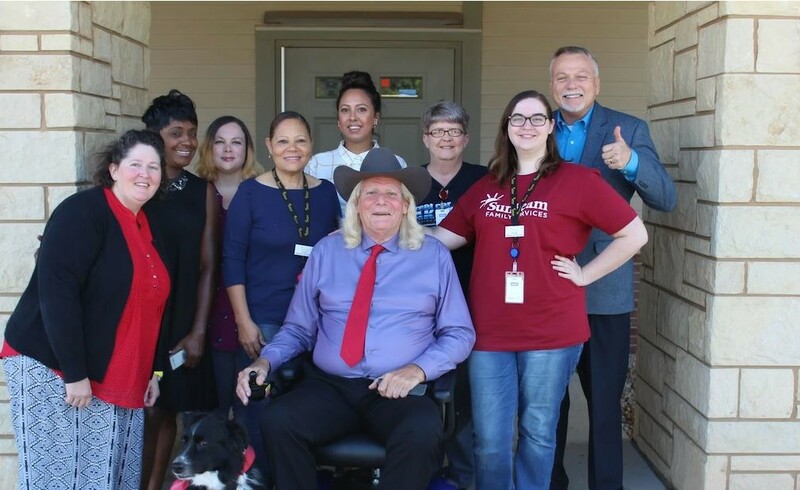 After a community need was identified for safe emergency shelter for senior citizens in our state, Sunbeam Family Services stepped up to provide the resource for senior adults, age 60+. Seniors may need emergency shelter because of abuse, neglect, self-neglect, and/or exploitation, as well as homelessness due to mental illness or catastrophic medical expenses. I wish you could have been there when we first met Joe at our Emergency Shelter for seniors. “I’m in the eye of a hurricane,” he said. Through Sunbeam’s wrap around services, Joe worked with a supportive case manager, completed counseling sessions and had access to free services from a Legal Aid attorney. At the end of his 30 day stay with Sunbeam, Joe was a new man. Now, he is optimistic about his future and has a new home. Joe praises Sunbeam’s caring staff and impactful services for helping him when he needed it the most. Your support helps seniors like Joe, who turn to Sunbeam for help. Who Is Eligible for the Emergency Senior Shelter? Designed with the frail and elderly in mind, residents statewide come to the 11-bed facility by referral from social service providers, area law enforcement, and hospitals. The goal is to help residents find permanent housing within 30 days. To date, Sunbeam has a 94 percent success rate in finding permanent housing for shelter residents. For some former residents, Sunbeam becomes family. We follow up with residents after they are discharged and invite them back for activities, including reunion luncheons. Former residents say that this opportunity for socialization and support is very important in maintaining their residency placement after leaving Sunbeam. Admission to the shelter is by referral from a social/human services agency. To learn more about the Emergency Senior Shelter, call Senior Shelter Case Manager, Kim Hubbard at 405.609.1987.
in finding permanent housing for seniors.